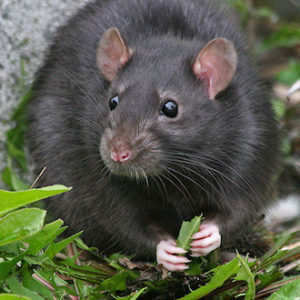 For restaurants and dining areas, the need for pest control is not just health related. It is critical for maintaining a positive reputation. We live in a Yelp-based world, one where online reviews and social media word of mouth is critical to success. One pest issue, and your entire reputation may be permanently ruined. Local Pest is a commercial pest control and extermination service that offers the British Columbia area – including Vancouver, Richmond, Abbotsford, Coquitlam, Whistler, and all of the surrounding areas – with restaurant pest control services that are effective at eliminating pests and preventing them from entering your property. If you are a restaurant looking to receive a quote, please call us at 778-828-6094 or fill out the form on the bottom of this page for more information. Local Pest is, as the name implies, a fully local pest control company. We began in the Vancouver area and continue to offer services and support to the surrounding cities and towns. We are available for one-time service, but we also strongly encourage you to consider our monthly and bimonthly pest control plans, which allow us to keep your restaurant pest free all throughout the year. If privacy is a concern, we can make sure our technicians park far away and are discreet about our pest treatments, and we can provide exclusion services that make the likelihood of an infestation even lower. Local Pest is also a subsidiary of Local Group, an umbrella of companies that are all designed to assist local businesses with their building management. That means we can also provide other services such as pressure washing, trauma cleanup, and hygiene restoration should those needs ever arise. Local Pest’s experience with commercial pest control is second to none, yet we always do our best to make you feel like you’re our only client. For trusted commercial pest control and extermination in Vancouver and the surrounding areas, please give us a call today or fill out the form below and one of our team members will respond as soon as we can.